Great News... Inventories are UP! Bad News... Prices are also UP! As buyer activity slows, prices drop and inventory hits a three-year high. Great news for homebuyers: housing inventory is up. Bad news for homebuyers: so are home prices compared to last year. Last week when we were flying back from a conference in Boston, our flight experienced some turbulence. I pictured a plane full of home sellers and imagined what they may be feeling as our housing market pitches and rolls through its own late-season turbulence. So, what’s real change versus expected or seasonal change? Inventories are moving higher, even though we expect housing inventory to be dropping this time of year. May and June of this year saw home prices reach record highs. Since then, prices have fallen 4.9 percent. This is normal and expected. What’s not normal? Sales of single-family homes priced over $500,000 dropping 33 percent from August to September. For those sellers, that’s real turbulence. 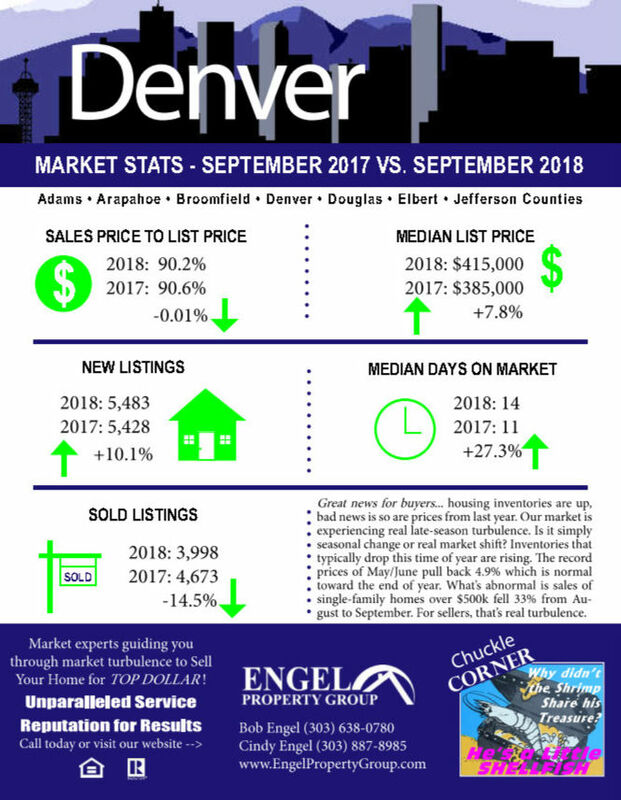 Looking deeper: Active listings in the residential market (single-family and condos) finished September at 8,807 total units, up a significant 16.10 percent year over year. The condo segment remains strong, up 21.13 percent year over year. The number of sold listings in the residential market decreased by 28.91percent compared to the previous month, and 20.24 percent from last September. Year to date, we’ve sold 42,990 homes - down 3.04 percent from 2017. The condo market saw a healthy uptick in average days on market, increasing to 24 days compared to 20 last September. The most active price segment for the single-family market for September was the $300,000 to $399,999, and $200,000 to $299,999 for condos. More signs of cooling can be seen with months of inventory increasing to 2.33 months for single-family homes compared to 1.68 months last month, and increasing to 1.93 months for condos compared to 1.48 months last month. As we look at the single-family home market, the average sold price decreased 3.79 percent month over month to $502,034, while the median price decreased 2.73 percent to $428,000. The year-to-date average sold price stands at $523,224 for the single-family home market, up 9.16 percent from last year, with the median sold price at $445,000, up 8.54 percent. Because condos are more affordable, they continue to outperform single-family homes prices with the average sold price of $350,766 representing an 11.38 percent increase over 2017. The median price of condos sold also increased by 12.34 percent to $299,900. What does median look like? Of the homes that sold in September 2018, the median detached single-family home was 1,720 square feet, four bedrooms, three bathrooms, spent 15 days on market and was built in 1985. The median attached single-family home/condo was 1 ,200 square feet, two bedrooms, two bathrooms, spent 12 days on market and was built in 1989. The critical element of our jobs as REALTORS® is to manage our client's expectations. This is even more important now as market conditions change. 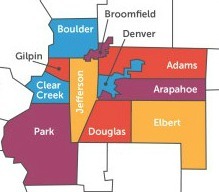 We constantly monitor the pulse of Denver metro housing market. Our daily analysis of the housing statistics and market trends enable us to provide clients with the most accurate housing data in order to forecast market trends. We believe strongly in keeping clients informed with up-to-date factual market data that is so vital for clients to make informed decisions. Sometimes in a somewhat turbulent housing market factual information isn't necessarily what clients hoped or expected to hear - which is exactly why it is so valuable.